SOMETHING YOU’RE EATING may be killing you, and you probably don’t even know it! If you eat cheeseburgers or French fries all the time or drink six sodas a day, you likely know you are shortening your life. But eating a nice dark, crunchy slice of whole wheat bread–how could that be bad for you? Well, bread contains gluten, a protein found in wheat, barley, rye, spelt, kamut, and oats. It is hidden in pizza, pasta, bread, wraps, rolls, and most processed foods. Clearly, gluten is a staple of the American diet. What most people don’t know is that gluten can cause serious health complications for many. 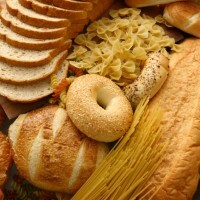 You may be at risk even if you don’t have full blown celiac disease. I want to reveal the truth about gluten, explain the dangers, and provide you with a simple system that will help you determine whether or not gluten is a problem for you.